Markets likely to open slightly higher. Support for Nifty is at 10820 and resistance at 11000 (closing basis). Bank Nifty has support at 26920 and resistance at 27300. CB can recover tcs today? 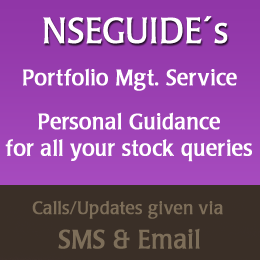 After a long time posting message in nseguide...hope you are doing well..
My Query...Can 'Z' group shares listed in BSE be purchased and sold on Same day ? or its like Trade to Trade share and cannot be sold unless it is credited to our Demat account ? Holding NBCC at 58.2 whether it will recover today or tomorrow? Bmel and tatasteel will recover sir? What is target of bataindia downside for current week? I have sold future @ 1172 today. I have few shares of RCOM bgt at 13. Is it any good holding onto this ? Can i buy Tata Steel and short Tata Motors tomorrow? what about ICICI and sbi bank? Hi seema, can short tata motors for now. Hi Krishna, these are fundamentally strong bets. can hold onto these for med term. dont add more of any yet. Hi JAY, it did not trigger. still holding it? what about ICICI , Tata Steel and sbi bank? Hi seema, icici can test 370 in coming days. tata steel is going weak. sbin below 280 can fall further.